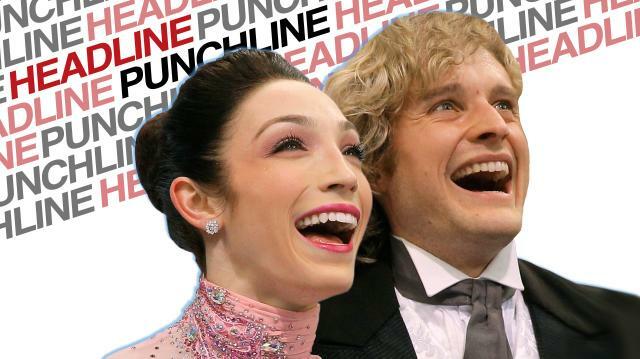 Headline Punchline: Meryl Davis & Charlie White Ice Dancing Gold! We give five comedians five headlines and they give us the punchline. Returning comedians Jenna Kim Jones, Annabelle DeSisto, Mike Rylander and Josh Nasir with newcomer . Break Ups: You Have Been Purged From My Life Forever! Headline Punchline: Samuel L. Jackson or Lawrence Fishburne? Achy Breaky 2 Music Video: Is this a real thing? Blind Dates: True Love or Serial Killer? Sochi 2014 Winter Olympics Did You Know?